Modi made a reference to the Monday night earthquake in Uttarakhand saying that the earthquake the Congress vice-president was talking about had finally arrived. Taking strong exception to Prime Minister Narendra Modi’s earthquake remark in Parliament, Uttarakhand Chief Minister Harish Rawat today said it was an “insult” to the people of the state. “The Prime Minister could have easily avoided making a statement like this. He did nothing to heal the wounds of 2013 disaster. He never came to the state during the crisis and now he is making fun of people of the state who have to deal with such disasters frequently. It is an insult to them,” Rawat said in a statement in Nainital. In a light-hearted jibe at Rahul Gandhi in the Lok Sabha yesterday, Modi made a reference to the Monday night earthquake in Uttarakhand saying that the earthquake the Congress vice-president was talking about had finally arrived. 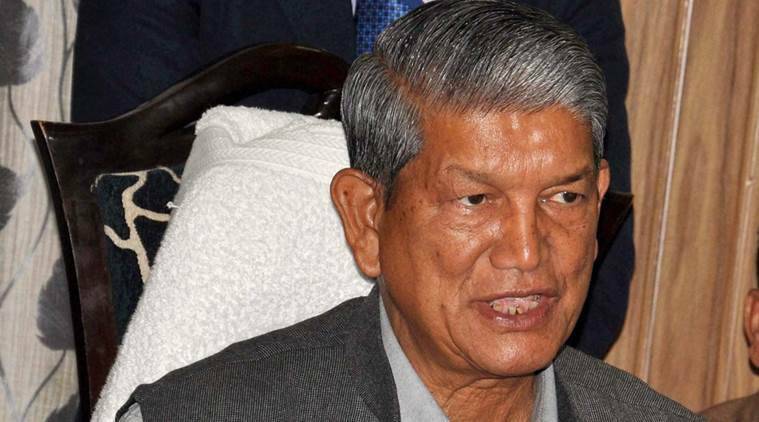 “The statement came as a shock to the whole country, especially to the people of Uttarakhand who have been victims of natural calamities time and again,” Rawat said.